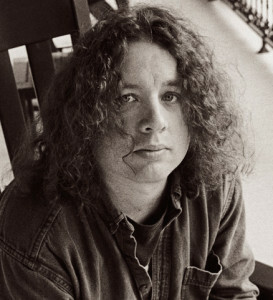 Michael Houser (January 6, 1962 – August 10, 2002) a founding member and lead guitarist for Widespread Panic, played on 7 studio albums with Widespread Panic during his 16-year tenure. He is also featured on 4 live albums by Widespread Panic (2 released posthumously), as well as many archive releases, live video concerts and compilations. Mikey also released two solo albums, Door Harp and Sandbox. In 2002, Mikey was diagnosed with pancreatic cancer and passed away on August 10 of that year. He was only 40 years old. The shock of his death rippled through the world and saddened so many. Widespread panic continued performing with several musicians until finally filling the spot of lead guitarist with Jimmy Herring. Remembering Mikey is a way to celebrate the life and music of Houser. Many of his songs, which were never incorporated into Panic’s setlist, are brilliant pieces of music. His voice, playing, and style will never be duplicated… but can be celebrated!